BONT ABEC 7 Race bearings have an exceptionally low rolling resistance – Designed for maximum speed! 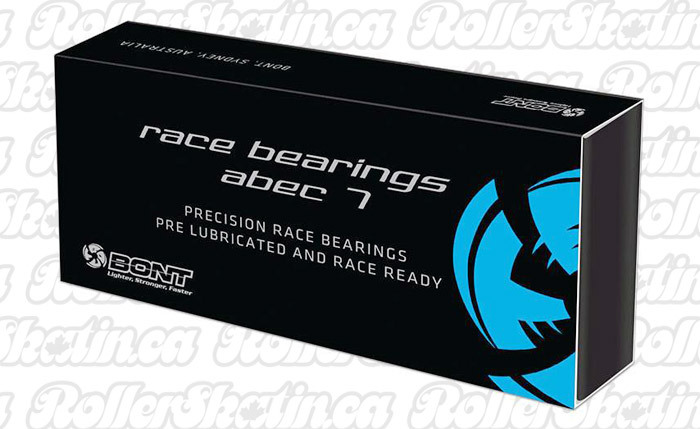 BONT ABEC 7 Race bearings have been designed for the elite skater. Double shielded to keep the dust and dirt out and the shield can be removed for cleaning. BONT ABEC 7 bearings are lubricated with a light racing oil, so no need to clean out the thick oil or heavy grease that you find in other bearings. This bearing has an exceptionally low rolling resistance – Designed for maximum speed!